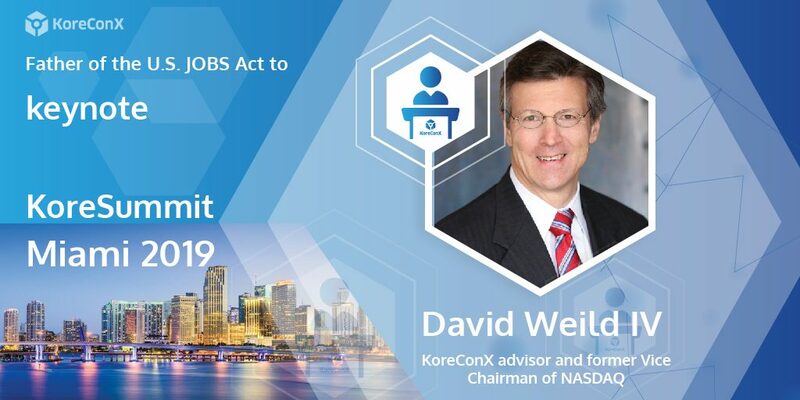 [New York, NY – February 7, 2019] – KoreConX is proud to announce David Weild will be the keynote speaker for their KoreSummit Miami event, to be held on February 20th. “For me personally there is no person in this planet that brings this level of credibility to the capital markets and provides clear insight. We are truly honored to have David Weild as part of the KoreSummit this month in Miami,” said Oscar Jofre, Co-Founder & CEO of KoreConX.